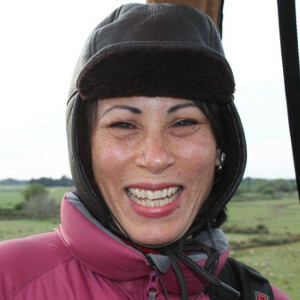 Lynda Chanwai-Earle is both a playwright of some standing in New Zealand’s literary community and a Spoken Features Producer for Radio New Zealand, National. Along with making radio documentaries she brings you the weekly Voices programme. Lynda’s groundbreaking one-woman play Ka-Shue (Letters Home) toured to Ireland in 1997 and Hawaii in 2004. Semi-autobiographical, Ka Shue is the first authentically New Zealand–Chinese play for mainstream audiences. Together with her second play, Foh-Sarn (Fire Mountain) it was published by The Women’s Play Press in 2003. Both plays are prescribed texts with the NCEA (National Certificates of Educational Achievement) and secondary and tertiary institutions across the country. Ka-Shue has been published in Canada and Hawaii and is now in its third print. From 2001 to 2004 Lynda worked for TVNZ as a reporter for the weekly programme Asia Down Under before she became a Spoken Features Producer at Radio New Zealand, National. During her time with TVNZ Lynda recorded stories in the Philippines, Hong Kong and China. As a journalist for Radio New Zealand she is responsible for catching stories across our country. Multi-talented writer and performer Lynda Chanwai Earle is a fourth-generation Chinese New Zealander. Born in London in 1965 she spent her early childhood in Papua New Guinea before completing her education in New Zealand. She studied creative writing with Albert Wendt and graduated from the University of Auckland with a Bachelor of Fine Arts in 1990 and a Diploma in Drama, 1994. Lynda also graduated with a Masters of Arts in Creative Writing at Victoria University’s International Institute of Modern Letters in 2006. Lynda represented New Zealand at the inaugural Hong Kong Literary Festival in 2001, the 2002 Philippines Asia–Pacific Poetry Conference, was Trans-Tasman writer at the 2003 Queensland Poetry Festival and attended the Shanghai Literary Festival in 2005 as guest writer. Lynda was short-listed again for the Bruce Mason Awards, 2010. Lynda began working at Radio New Zealand producing Asian Report in May 2011. She lives in Wellington with her two young daughters. Formerly Asian Report, Voices is a weekly programme that highlights Asians, Africans, indigenous Americans and more, from Iraq to India to Indonesia and East Asia, spanning Morocco to Madagascar, Belize to Brazil. These are our local-born and immigrant ethnic minority communities, New Zealanders with stories to share. What have we talked about? Individual and organisational achievements, issues, problems experienced, problems caused, culture, lifestyle, politics, religion, arts, music and more – a mix of light and shade.